Ma Vie is a fragrance that captures the intimate essence of the BOSS Woman's independent spirit, releasing the indulgent and fulfilling sensation of simply savoring life - her life. 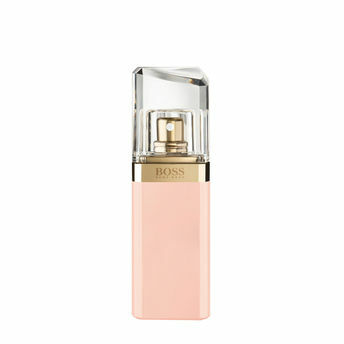 HUGO BOSS Ma Vie Eau De Parfum is a fresh, indulgent, and fulfilling fragrance for a feminine, independent woman. The lively and uplifting brightness of the cactus flower and a suave pink floral rosebud bouquet provides an elegant sensation of softness and strong femininity. The intense warmth of cedarwood encourages confidence and ease. Explore the entire range of Perfumes (EDT & EDP) available on Nykaa. Shop more Hugo Boss products here.You can browse through the complete world of Hugo Boss Perfumes (EDT & EDP) .Alternatively, you can also find many more products from the BOSS Ma Vie Eau De Parfum range.